My name is Arthur, I am expert on RFC area and work as Support Engineer at SAP Product Support team. 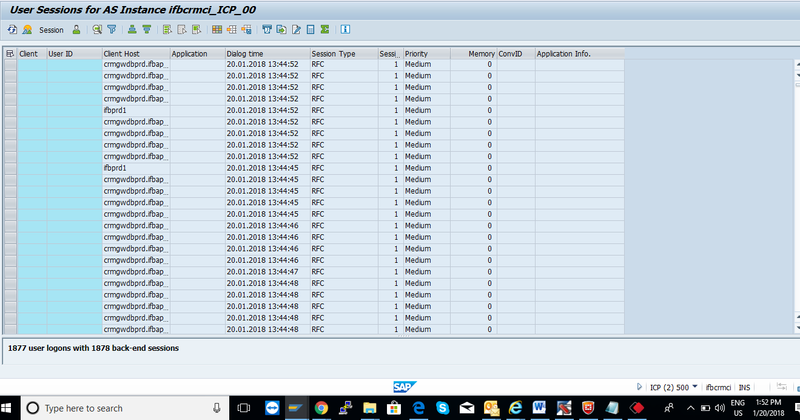 Have you ever find RFC_NO_AUTHORITY dump in your SAP system? If the answer is Yes, I suggest you checking this short Blog to understand what this dump means and how to adjust the system to avoid this dump. What does this dump mean? The RFC_NO_AUTHORITY dump is raised in the target system as a defense mechanism when an application or a routine try to call a function module with an user with limited authorization. User does not have the authorization object S_RFC. User have the authorization object S_RFC but the function module is not present in the white list. Which scenarios this dump can appear? When a new RFC is performed and this permission was not required before. How to adjust users/permissions to avoid this dump? The dump content has information about which function needs to be adjusted. Navigate the Guided Answer below to solve the case. The Guided Answers are a new way to SAP delivery solutions based in each possible scenario. If you believe that an information is missing or your scenario is not present in the answers, then send your feedback via the “Feedback mechanism” inside the link. It is anonymous. In summary, this is a dump raised for security purpose. Therefore, the system administrator should analyze if this permission is acceptable from business perspective. If changes are required, they should be forwarded to the Security team. Thank you very much for your most valuable insights. We are facing an unique issue in RFC connection. 1)We are observing sudden increase of unnamed RFC sessions from netweaver gateway of more than 1000+ in backend system (CRM) during various times of the day within few minutes making CRM hang abruptly. 2)This increases the session is for a particular instance suddenly.Once this unnamed RFC sessions from netweaver gateway sessions increase suddenly entire instance will hang .These RFC sessions do not get clear soon from work sessions and there are no transaction triggers for this unnamed RFC sessions .Hence other transactional dialog /rfc load will shift to remaining instances & load become unbalanced .This will hang the CRM entire system within few minutes .We have named user at both fiori and backend CRM. Thanks for your comment, but I this question is not related to the dump or the main topic of this blog. Anyway, for this behavior check this Wiki article. If after reading this, you still needing assistance I suggest raising a new question or finding answers and arguments in a new thread on Question&Answer area.